Magnetic Math Fun! | Mrs. Anton's Class! ← Sharing the Sunshine Fun! We have been having a lot of fun with subtraction this week. 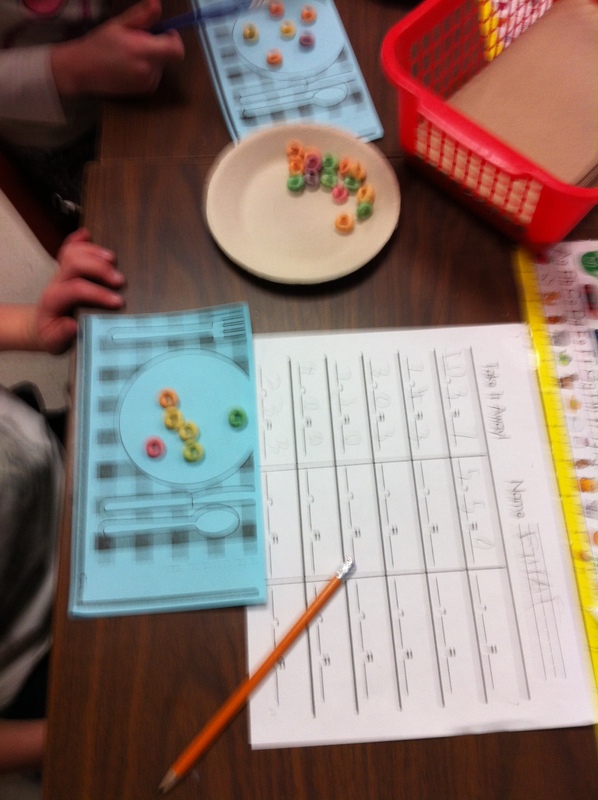 First we learned about subtraction by pretending to have a donut store. The donuts were fruit loops. To understand subtraction really well it helps to really subtract something! 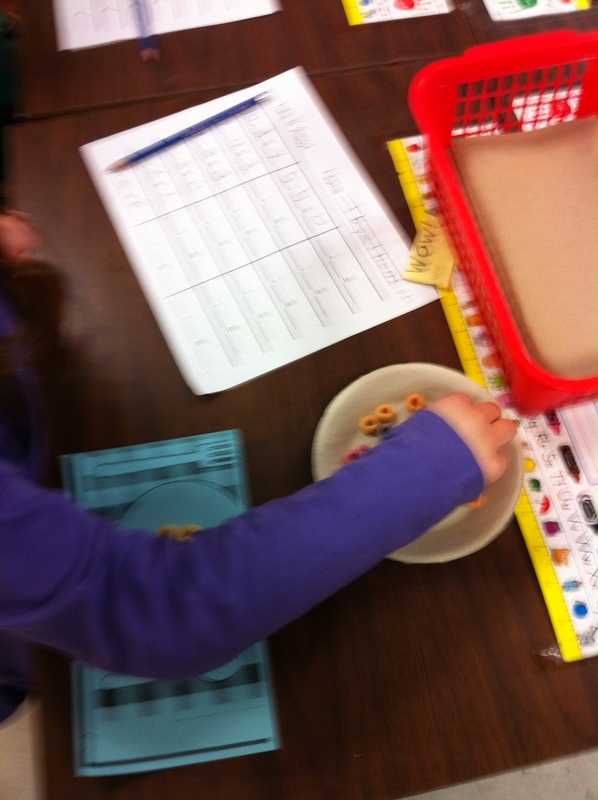 We would decide how many donuts could be on our plates and then subtract (eat) some and see how many were left! I think they got it! 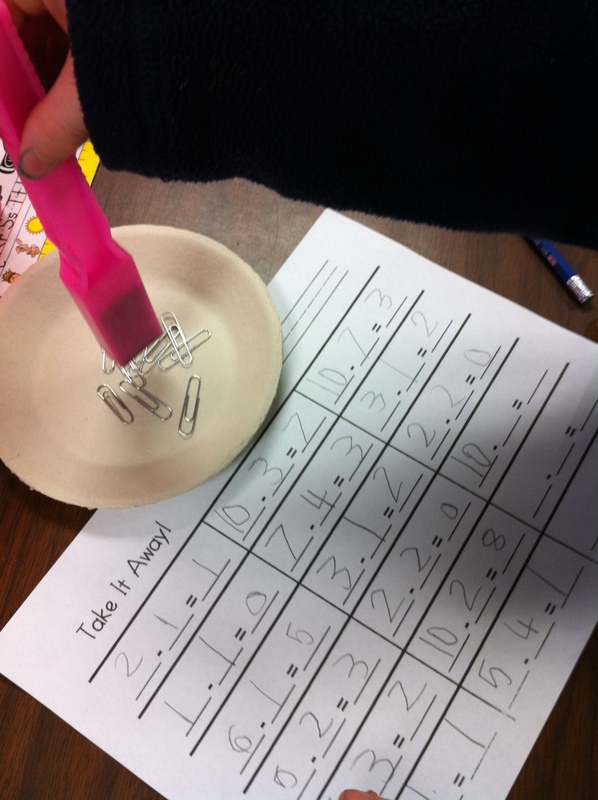 The next day we worked with magnets and paper clips to make subtraction stories! The children each had ten paper clips. They decided how many they wanted to put in the plate. Then they waved their magnet over the plate like a magic wand to see how many they could pick up! Then they recorded their story! Lots of fun! Please excuse the blurriness of this picture! Definitely an action shot! Of course we had to experiment with the magnets! 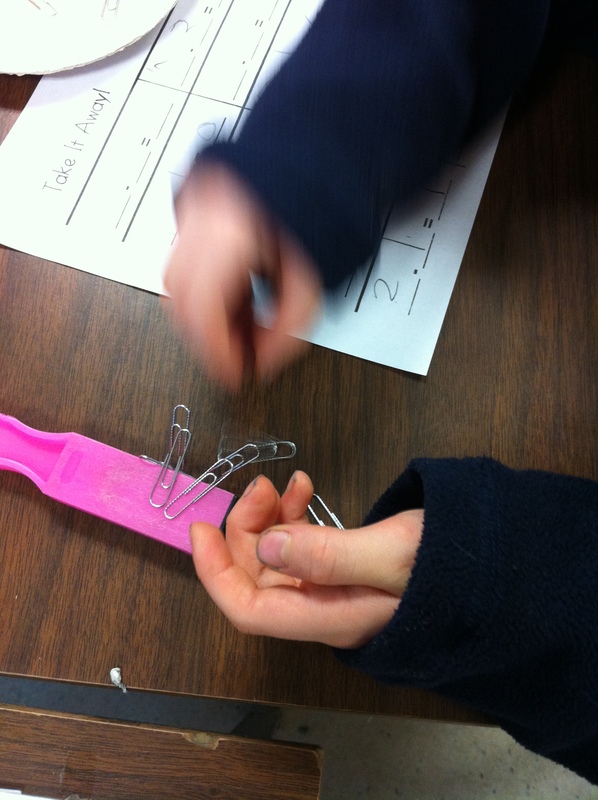 This is a picture of them moving the paper clips like magic by using the magnet inside their desks to move the magnets on top of their desks! 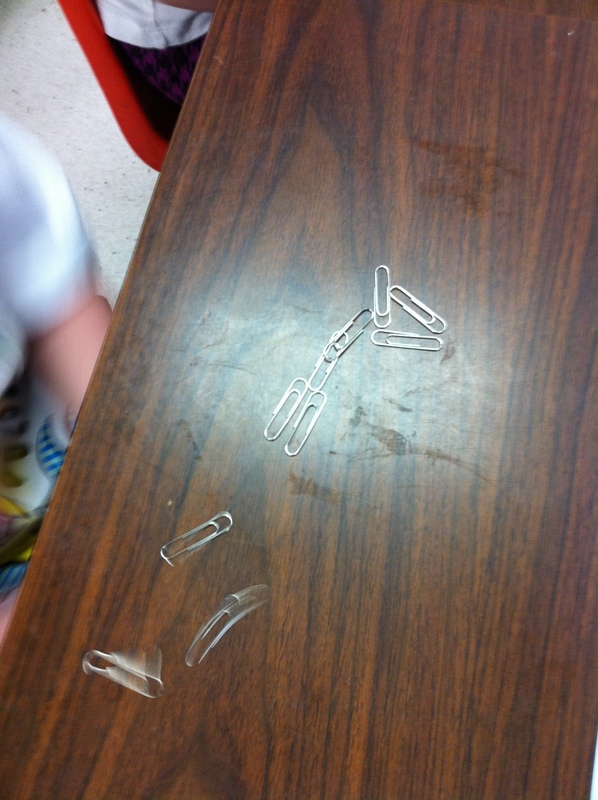 Another action shot as the paper clips are blurry because they were moving when I took the picture! Cool trick!